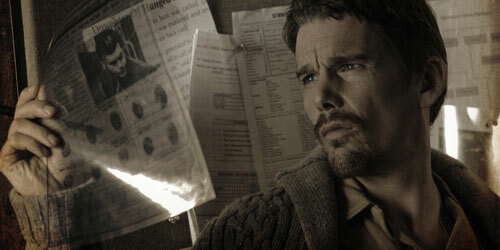 "Sinister" follows a recent trend of low budget horror films to make it to theatres and do quite well. Usually done in the found footage format, a sort of evolution of the Blair Witch style. This film is director Scott Derrickson's return to form from the disastrous crap fest "The Day the Earth Stood Still". His breakout film "The Exorcism of Emily Rose" was one of the sleeper hits of 2005. 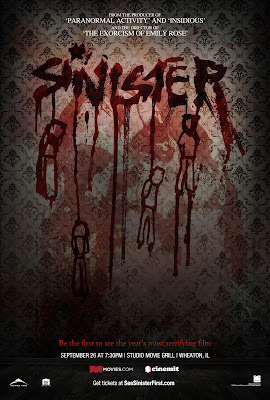 What's different about "Sinister" is that it owes a lot to its clever premise and script by first-timer C. Robert Cargil. Ethan Hawke anchors this film as true crime writer Ellison Oswalt, who has been trying to recapture the success of his first book "Kentucky Blood". His wife and two young children move to a new town for each new book and now they have arrived in a small Pennsylvania town where an entire family was hanged, except for one of the kids that went missing. Ellison also fails to mention to his family that they are moving into the actual murder house. The local authorities are not too happy with their new residents as Ellison usually paints the local police as inept bumbling idiots who botch investigations. Instead of the standard creepy basement, we get the standard creepy attic where Ellison finds an old The movies all have innocuous titles like Family BBQ, Pool Party, Lawn Work, Hanging Out and so on. Desperate for leads and information on the family he views the old home movies, only to find that they end up being snuff films. Sort of reminiscent of the Nic Cage Film 8 MM. Ellison is now determined to find out who made these films. Although he does think about reporting these to the police, he is blinded by the thought of what this could do for his fledgling career. Ellison is a very self-absorbed and fame-obsessed man. He tasted celebrity once and will stop at nothing to feel it again, even it means putting his family at risk. His son already suffers from night terrors which are becoming worse while at the new house. After repeated viewings of the films, he starts to notice a shadowy figure in each of them. He finds out that this is a pagan deity called Bughuul, the eater of children, who lives inside the images. The films are a gateway to his world that Ellison has now opened, putting his kids in grave danger. Ghosts and demons living in images is something you see in a lot of Japanese and Asian horror like The Ring, Shutter, and many others. 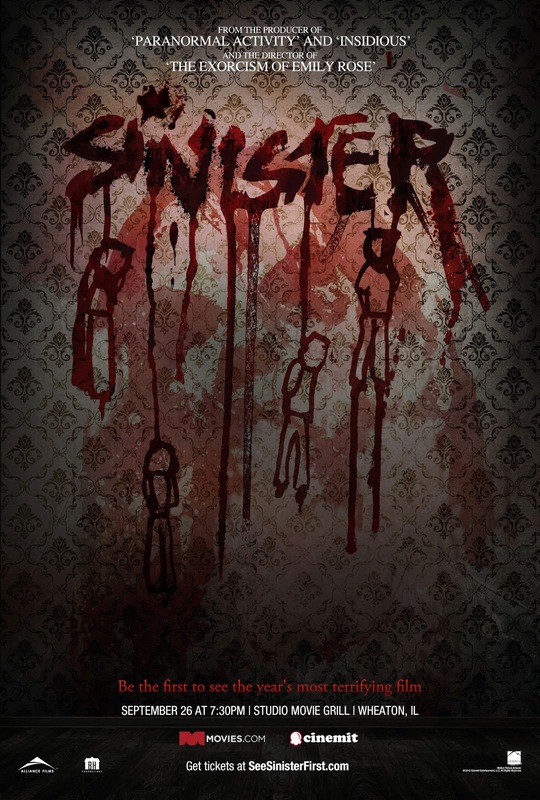 "Sinister" does a good job mixing and matching several common horror elements into a cleverly made film. It's not something that's going to reinvent the genre, but it's always nice to see new twists in the same old thing. The way the story and the whole mythology is structured they could and probably will make several sequels.